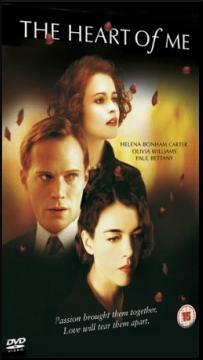 STARRING Helena Bonham Carter, Olivia Williams, Paul Bettany, Eleanor Bron and Luke Newberry. SYNOPSIS Based on the book 'The Echoing Grove' by Rosamond Lehmann. Set behind the closed doors of London Society during the 1930's. The story is of two attractive, but very different sisters, who fall in love with the same man. Ricky is a successful and charming man, perfect for the traditional and proper sister, Madeline. Dinah is a open minded, independent woman, very different to her sister Madeline. Though it would not be till the engagement party of Madeline and Ricky, that the sisters would find they had something in common. Until that night Dinah saw Ricky as a rather nice, but dull man. This all changes as the two catch each others eye and a destructive love affair follows. Years later the sisters meet again and consider the memories of the the man they both loved and the unexpected events in their lives, which brought them closer together.